In order to talk about terra cotta diffusers, we need to know exactly what terra cotta is. Why is a terra cotta diffuser the best diffuser for essential oils? The answer is in the firing process. When the prepared pieces are put into a kiln, the moisture escapes from the clay leaving tiny pores or air pockets throughout. These tiny air pockets are what absorbs and hold the essential oil until it naturally and gradually diffuses out of the fired terra cotta clay. Essential oils are literally “volatile” liquids. Volatile means they easily evaporate at normal temperatures. Evaporating or diffusing is what an essential oil does by its very nature. We could simply open a bottle of essential oil, and it would diffuse into the room where the bottle is. We don’t have to heat it or inhale sharply to bring a true essential oil out of the bottle. It escapes all on its own, naturally. But we don’t need a whole bottle to diffuse into a room to enjoy the benefits of the essential oil. We only need enough to diffuse into our breathing space. Terra cotta diffusers are the best medium to deliver this. economical – at least our Terra Cotta Pendants are – we believe in a diffuser everyone can afford! We only need one drop of essential on a terra cotta diffuser to diffuse all day long. 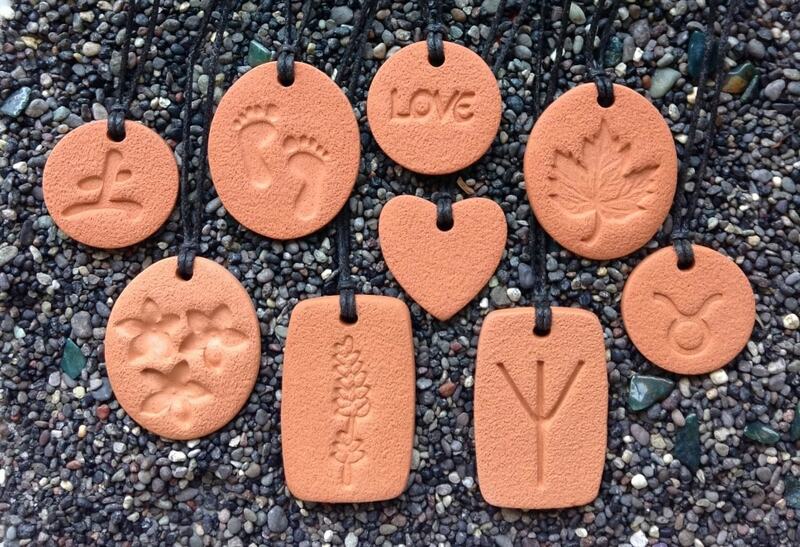 Receive a complimentary Terra Cotta Pendant as a Welcome Gift with your first order! See how here!